The foundation stone for the petroleum refinery and a cement factory was ceremoniously laid by the Prime Minister Ranil Wickremesinghe at the Mirijjawila Export Processing Zone a short while ago. The ceremony held to lay the foundation stone for the two projects was held this morning (24) with the attendance of Omani Minister of Oil and Gas Mohammed bin Hamad Al Rumhy, Chinese Ambassador for Sri Lanka Cheng Xueyuan, and several local parliamentarians. The planned cement factory will be constructed on a land area of 64 acres at the Mirijjawila Export Processing Zone and the government expects production of 3.6 metric tons of cement per year. 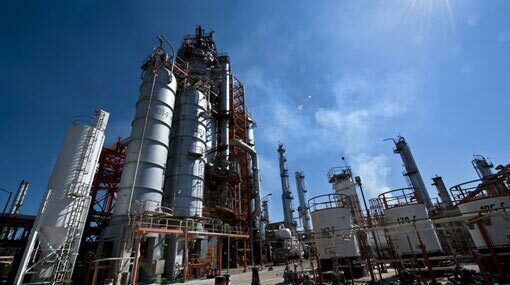 The fuel refinery and storage facility, alleged to be backed by the single largest foreign investment in the country’s history, is expected to eventually produce 200,000 barrels a day, to be fully operational within four years. The Board of Investment of Sri Lanka stated that the facility would be jointly financed by Oman’s Ministry of Oil and Gas and a Singapore-registered company. The refinery will be built next to an investment zone China Harbour Engineering Corp is planning and a $1.4 billion port controlled by China Merchants Port Holdings. China is the biggest buyer of Omani oil, importing about 80 percent of the Middle Eastern nation’s overall crude exports in January, according to an Oman government website. Sri Lankan officials said on Tuesday Oman’s oil ministry planned to take a 30 percent stake in the project of the planned oil refinery. A Singapore company controlled by India’s Accord Group would invest the other 70 percent and storage tanks part of the facility would be owned fully by the Accord entity. The first phase of the project will cost an estimated $1.85 billion and be paid for by Accord. The construction and operation of the refinery at an estimated cost of $2 billion would be paid for by the Accord-Oman venture, said investment board officials. However, on Wednesday, Oman denied knowing about its part in the plan to build the refinery on Sri Lanka’s southern coast. On Thursday, Prime Minister Ranil Wickremesinghe told parliament that the Oman government has sent a letter saying it is interested in the $3.85 billion project, which could become the island nation’s biggest direct foreign investment, and there have been discussions about a 30 percent stake. He said that could rise to 40 percent.